Your choice of school will be influenced by the length of time you intend to stay in Germany. Either way, adapting to a foreign culture after international relocation is a challenge for parents and children alike. Picking the right school is very important and will have an impact on your family life. Make sure to involve your child in the choice between local and international schools in Germany. Attending a local school may help your children meet German peers, immerse themselves in the German language, and get fully accustomed to their new home. For your child, interaction with the outside world, and thus with the German way of life, happens mainly by making friends at school – a key aspect that international schools, in Germany or elsewhere, cannot provide. On the other hand, international schools in Germany may seem like the obvious choice if your child has already visited an international school in another country or if you plan to relocate again relatively soon. International schools in Germany are full of kids and teens from a variety of cultures, countries, and regions, and your child is sure to make new friends among them. Being “third-culture kids” in Germany will improve their mutual understanding. The downside is that children at international schools in Germany have little contact with local children. Some German public schools offer international diplomas and bilingual lessons as well. Apart from socializing, language is the most important factor when choosing a school. Just consider the German language skills your child already has or may need in the future. Attending a bilingual institution or an international school in Germany can help your child during an early stage of relocation, whereas visiting a German public school fosters integration. If your child does not speak any German yet, attending an international school might serve as preparation for switching to a public school later on, where they can obtain a German diploma. Most international schools in Germany have special classes for foreign children to focus on studying German, and their staff is competent with regard to language-learning issues. Usually, young children learn a lot faster and adapt far more easily than their parents. So you need not be too hesitant about sending them to a German school. For families that relocate rather often, the advantages of international schools are obvious. But international schools also provide challenging opportunities for local children and prepare them for living and working in an increasingly globalized world. One minimum requirement for international schools (and private schools in general) is to meet the demands and standards of the national German school system. Many private or international schools may even have higher quality standards, making a transfer to a public school quite easy as soon as language requirements are met. Of course, switching from one international school to another is the easiest way for your child if you have to leave Germany again. International schools often share educational standards, a common curriculum, and transferable credit points. International schools in Germany are usually modern institutions with comfortable facilities, excellent education, and a wealth of extracurricular activities. They might offer both the German Abitur as well as an international university-entrance diploma. The latter may be particularly popular, which explains why some international schools in Germany have waiting lists for applicants. You should also take into account that, unlike public schools, which are always free of charge, private international schools in Germany may cost upwards of EUR 20, 000 a year in tuition fees. Lamya Kaddor (born 1978 in Ahlen) is a German writer of Syrian ancestry. 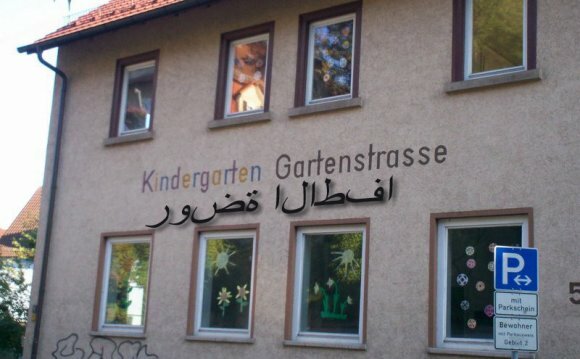 She is known for introducing Islamic education in German in public schools in Germany.